Dr. Bhoomika M. Patel, Assistant Professor in Department of Pharmacology, has more than nine years of teaching experience. She is also a diploma holder in Pharmaceutical Management (DPMM) and Quality Control and Quality Assurance Management (DPQCQAM). She has a distinction of being the FIRST rank holder (Gold medalist) for SIX consecutive years of B. Pharm. and M. Pharm. at Gujarat University. She got highest marks in Final Year B. Pharm. among all universities of India for which she was awarded Prof. M. L. Khorana Medal of Indian Pharmaceutical Association (IPA). In addition, she was the national winner in the elocution competition at Indian Pharmaceutical Congress (IPC) and Achari Prize awardee for best research paper by young pharmacologist at national conference. She is also the recipient of the N. S. Dhalla young scientist award, an award for the best paper published in the year 2008. In all she is a recipient of TWENTY NINE awards. She has attended and presented papers at various national and international level conferences including the one at International Academy of Cardiovascular Sciences, 2nd World congress at Japan, Heart Failure Congress 2011 at Gothenberg, Sweden and 6 for which she has received travel grants from the All India Council for Technical Education (AICTE) and Department of Science and Technology (DST) worth approximately Rs. 2,00,000/-. She has also received two minor research projects from Gujarat Council On Science and Technology (GUJCOST) and major research project from Science Engineering and Research Board (SERB). She has published 31 full length papers in national and international journals with total impact factor more than 50, ‘h’ index 11 and total citations above 500. 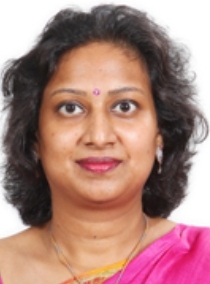 She is reviewer for many journals with high impact factor of publishers like Elsevier and Sage. She has authored books on “Practicals in organic and medicinal chemistry” and “Practicals in Pharmaceutical Analysis – I”. She has also written a book chapter in an international book. She is a life member of several professional bodies including IPA, APTI, IPS, IPGA, IHPA, SOPI, ISTE. She is a recognized PG and Ph.D. guide at Nirma University. 6. Patel M.M., Shah P. J., Patel B. M. Insights of biosimilars through SWOT analysis. Expert Opinion on Biological Therapy February 2014, 14(2): 139-144 [Impact Factor 3.345].